Bare Oaks Family Naturist Park is located near a great wealth of recreational opportunities. Please visit the following sites for more information. There are many other opportunities for naturism/nudism in Ontario. Bare Oaks is located centrally to most of them. To find out more, visit the Federation of Canadian Naturists Ontario clubs and beaches page. Bare Oaks is officially located in the village of Sharon and is actually closest to the village of Mount Albert. Both are part of the municipality of East Gwillimbury. These two communities feature small shops, restaurants, and other places of interest. The closest major urban area is the town of Newmarket. 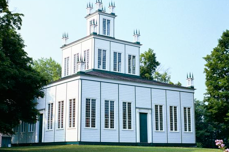 Shopping malls, movie theatres, and major retail chains can be found in Newmarket. Bare Oaks is located north of Toronto in York region. While the City of Toronto is by far the best known destination near Bare Oaks, York Region itself offers an incredible number of things to see and do. From Toronto to Lake Simcoe’s southern shore, York’s 678 square miles offer a myriad of urban and country experiences and amenities. World class family attractions including Paramount Canada’s Wonderland and the McMichael Canadian Art Collection, top-rated golf courses, varied and affordable accommodations, relaxing meeting facilities, quaint shops, history and museums, scenic trails, and a wide variety of restaurants featuring all cuisines make York an ideal destination for everyone. 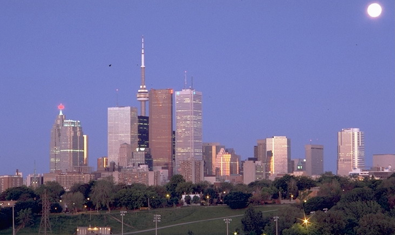 Just 30 minutes south of Bare Oaks, Toronto offers all of the cultural and recreational activities that one expects from a large and sophisticated city. Toronto is a city that holds all the wonders of the world in one clean, safe, friendly place: a theatre scene rivaled only by London and New York, more than 80 cultures from across the globe, attractions that range from high art to rowdy family fun, and polished services for business travelers. What could make that better? How about packing many of our most popular attractions within walking distance of each other. In downtown Toronto, a short stroll is all it takes to travel between thousands of hotel rooms, great sports venues, the CN Tower, major convention centres, endless shopping, top theatre, the waterfront, and inspired cuisine. Beyond the cozy and quirky neighbourhoods of the city are more fabulous attractions, plus countryside, Niagara Falls, a wine region and outdoor adventures, all an easy drive away. Bare Oaks is located in the Province of Ontario. With about 1,000,000 square kilometres (415,000 square miles) – an area larger than France and Spain combined and more than 11 million people, Ontario is very large but most of its population is located within a few hours driving distance from Bare Oaks. There are over 250,000 lakes in Ontario — they make up about one-third of the world’s fresh water. In summer, temperatures can soar above 30° C (86°F), while in winter they can drop to below -13° C (9°F). Ontario’s industries range from cultivating crops, to mining minerals, to manufacturing automobiles, to designing software and leading-edge technology. Cultures from around the world thrive and are celebrated in Ontario with festivals such as Caribana (West Indian) and Oktoberfest (German). Travelers can enjoy the many experiences Ontario has to offer, from a wilderness expedition in the north, to a “shop till you drop into your theatre seat” city excursion. Your all-in-one Ontario Tourism site! Find facts on the best things to do in Ontario. We provide you with the most current information available for the many different types of attractions, so start planning your next vacation right here. Check our Search page for a list of attractions that interest you. 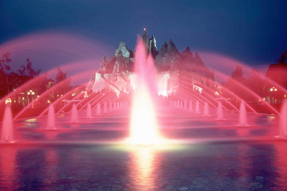 Or click onto our e-coupons for free coupons to attractions in Ontario. Buy tickets to Ontario attractions. 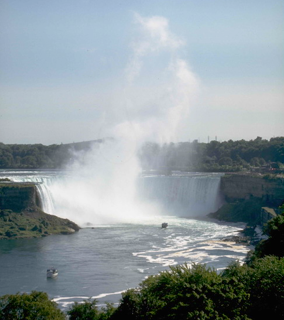 If you are planning on traveling in Ontario, Attractions Ontario is the place to find all you need on attractions in Ontario.